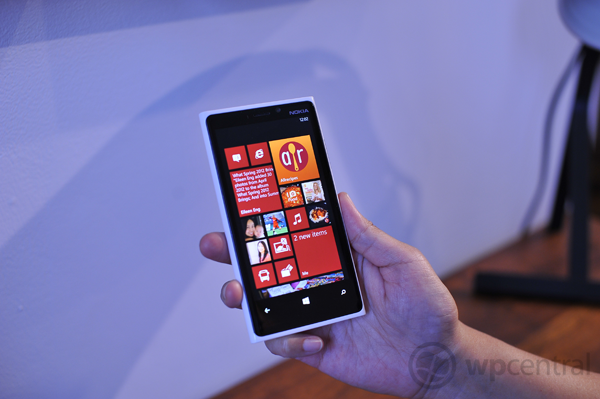 The Lumia 920 has gradually become available for pre-order through retailers and the like, but we've not yet been able to confirm globally what carriers will be stocking Windows Phones, except for those who have made the information publicly available. As for the number of pre-orders that have taken place, well ... that's another piece of information that we don't possess. 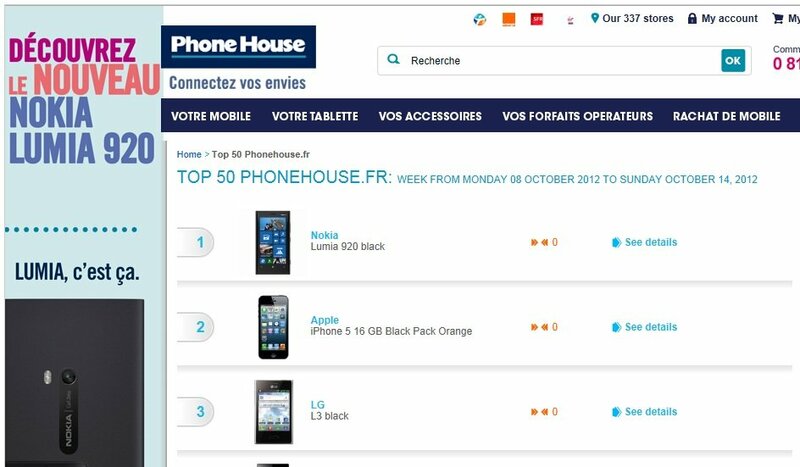 Fortunately, NokiaPowerUser has noticed some positive signs on both the French Phone House and Italian NStore websites. According to Phone House's top 50 mobile phones chart the Lumia 920 is the champion, and at NStore the Windows Phone is no longer available (sold out). The black Lumia 920, not a coloured variant, has topped the charts at Phone House (possible down to the free Fatboy wireless charger offer) - as can be seen above. The iPhone 5 sits in second, behind a Windows Phone 8 handset. Fancy that, eh? The chart is loaded from data accumulated between October 8-14th, so we'll have to keep a close eye on how the rankings alter in the next round-up. While this doesn't point at a pre-order figure, for the Lumia 920 to overtake the iPhone 5 in a smartphone chart is something to relay to others. Let's hope the HTC 8X and Samsung ATIV S achieves similar success in other markets before and after launch. As for NStore, its Lumia 920 stock has completely sold out. Reservations were reported available a couple of days ago with a €99 deposit, which means there have been enough interest to cause the store to simply run out of available stock to send out to customers once the Windows Phone has been released. Of course we're unsure as to how much stock NStore actually specified internally to begin with, nor do we know exactly how well the device is performing at Phone House, but these are positive signs for a potential strong launch. via: NokiaPowerUser (1) (2); thanks, knm, for the heads up!